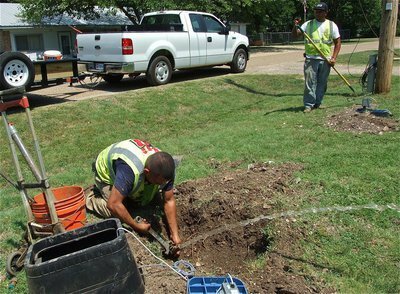 RGT Utility out of Hallsville/Red Oak began installing the new digital water meters today on Harpold Street. The installation process will take approximately 15 days to install the new meters at every home and business within the Italy city limits. However, the City of Italy, later agreed, to become a test/model site for the new digital meter reading system. By agreeing to become a test site, the city received a system valued at $800,000 for a discounted price of $250,000. A savings of $550,000." These digital meters are more versatile than previous drive-by meters. 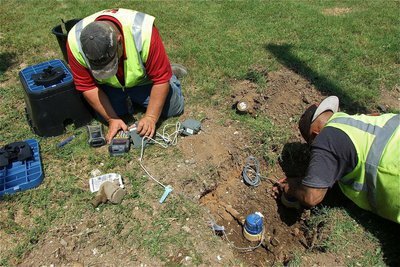 They can automatically send updated information hourly, via satellite, to City Hall computers that will flag the city workers of a water possible leak within the grid. 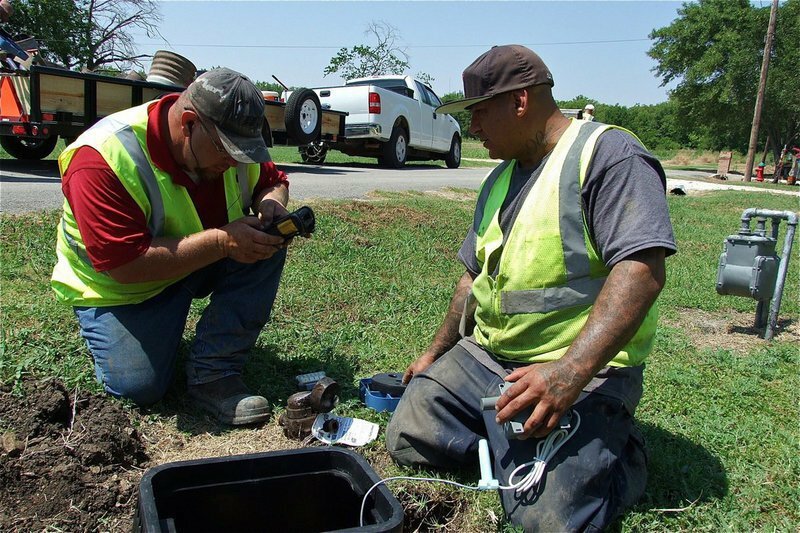 City Hall would contact the property owner to confirm a leak, and if a leak is determined, City Hall would dispatch a city maintenance crew to shutoff the meter at the property. Citizens should never tamper with the meters. 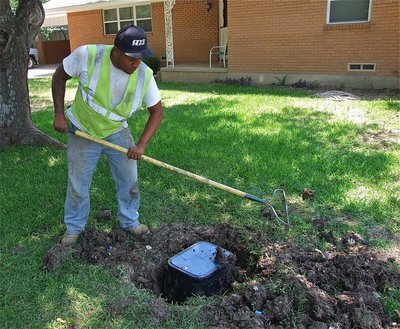 The city crews are protected by a maintenance contract to handle all emergencies where as property owners would be subject to pay for any damages they might cause to their meter and/or be charged a tampering fine. Citizens should know, once the new meters are installed, you may no longer be able to shutoff the water to your home or business unless: 1.) You already have a separate shutoff valve already connected somewhere between the new meter and your house or business or 2.) 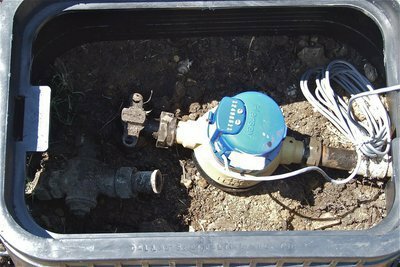 You have a new shutoff valve installed between your new meter and your home or business. If you do not have a separate shutoff valve already installed, the City of Italy highly recommends having a new shutoff valve installed between your new digital meter and your home or business. If you develop a leak at midnight or after hours," explained Mayor Jackson,"The city would not be able to automatically shutoff the water until the next business day, which could potentially waste large amounts of water and increase water bills drastically. Therefore, a new shutoff valve would help protect the property owner from an outrageous water bill due to a leak, particularly one occurring after business hours. 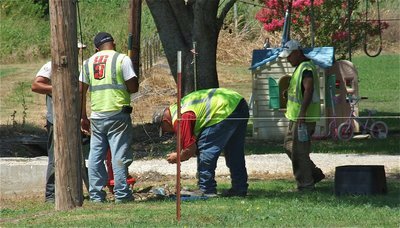 RG3 Utility can now add Italy, Texas to the installation list that the company will use as a rural test/model for other area municipalities to stop in and receive a real time demonstration. RG3 Utility will be upgrading meters for about 15 days and the City of Italy asks everyone to slow down and drive cautiously when passing the installation crews. Once the installation of the new meters has been completed, in the event of a water emergency or when your ready to install new shutoff valves between your homes or business, contact city hall to make arrangements to have your water turned off. The City of Italy can send over a maintenance crew to shutoff the meter at no cost to citizens and, subsequently, be able to turn the water back on at no cost to citizens. NOTICE: Although it is not required, citizens will be responsible to pay for a new manual shutoff valve to be installed between their new digital meter and their home or business, if needed (highly recommended). Citizens will be responsible for any damages that may occur to a digital meter box. A Tamper Fine may be assessed if the box exterior or contents underneath have been damaged or manipulated. Replaced leaky valves and a better regulated water flow tracking system, however, could collectively save the citizens of Italy thousands of dollars on their water bills for many years to come on top of the $550,000 discount to become a test/model town for RG3 Utility.